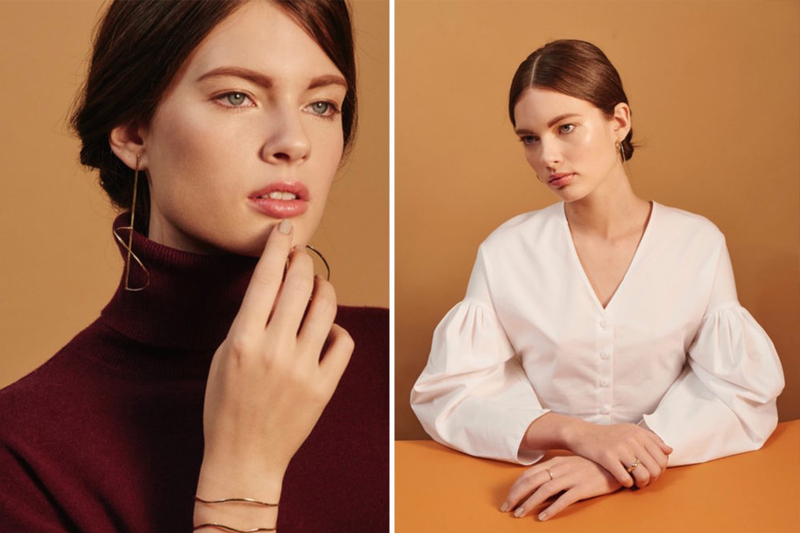 Upcycling with style to reduce waste: The cruelty-free, ethical & sustainable jewelry brand CLED was founded out of love for animals, the environment and beautiful things. All of their pieces are handmade in Los Angeles with recycled glass and sterling silver and are one of a kind. From beginning to end of the production process, CLED ensures that materials are fully used, without being discarded. Jewelry is packaged in plastic-free paper boxes made with recycled contents and environmentally friendly inks, designed to be reusable or recyclable. We love their bold earrings, bracelets, necklaces and rings of which each of them will add a special touch to your outfit. Every piece is made to order. A portion of profits is donated to charity. Eden Diodati is, to its core, ethical. Women artisans who survived the Rwandan genocide craft the hand-beaded pieces. With centuries of artisanal heritage backing them, the women have an impressive collective knowledge and skill level. Eden Diodati’s four principles are: Art & Collaboration, Ethical Manufacturing, Wearable Philanthropy, and Beauty Through Compassion. In addition to employing a marginalized group of African artisans, Eden Diodati donates 10% of dividends to Médecins sans Frontières, which recognises the need to address human fragility on a global scale. 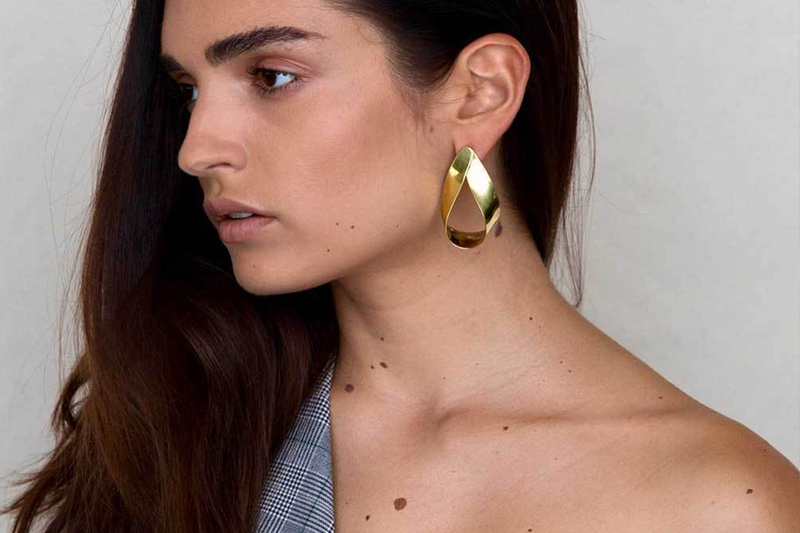 By proving that brands can be both exquisitely crafted and ethically made, Eden Diodati is changing the landscape of luxury jewelry. Another jeweler taking a stand against the traditional diamond industry, Kinraden uses only FSC certified Mpingo, also known as African Blackwood, in place of the stone due to its striking resemblance to black diamonds. Mpingo is extremely tough and hard and reflects a beautiful stark black color, hence its similarity to diamonds. Often used to manufacture acoustic stringed instruments, it is a plant found in the dry regions of Africa. The pieces of mpingo Kinraden sources are too small to be used in the production of anything else. This initiative to limit manufacturing waste is not just sustainable for the environment, but helps locals to improve their own living conditions as well. Pure, precious and beautiful: we all know that diamonds are a girl’s best friend. But they can also be pretty dirty. Conflict diamonds lead to war and human exploitation. If dirtily mined, they also have a negative impact on landscapes and the environment. 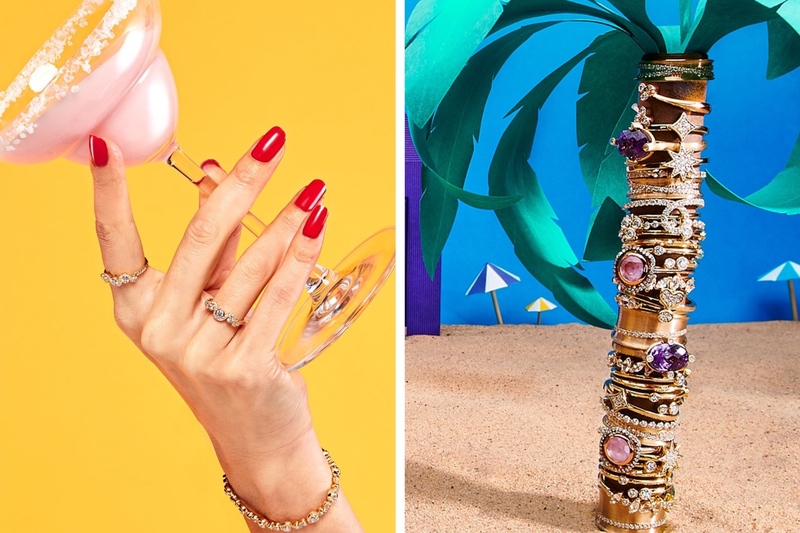 Unlike leading jewellery houses, the sustainable luxury jewellery brand Lark & Berry wishes to make a positive effect on the planet and its people by creating cultured diamonds and gemstones. Using innovative lab technology, they are magically made of the exact same way the earth creates diamonds – with the only difference that they are 100% conflict-free and produce less water, less emissions and less waste. And less is definitely more: super rare in nature, Lark & Berry creates the purest category Type IIa! 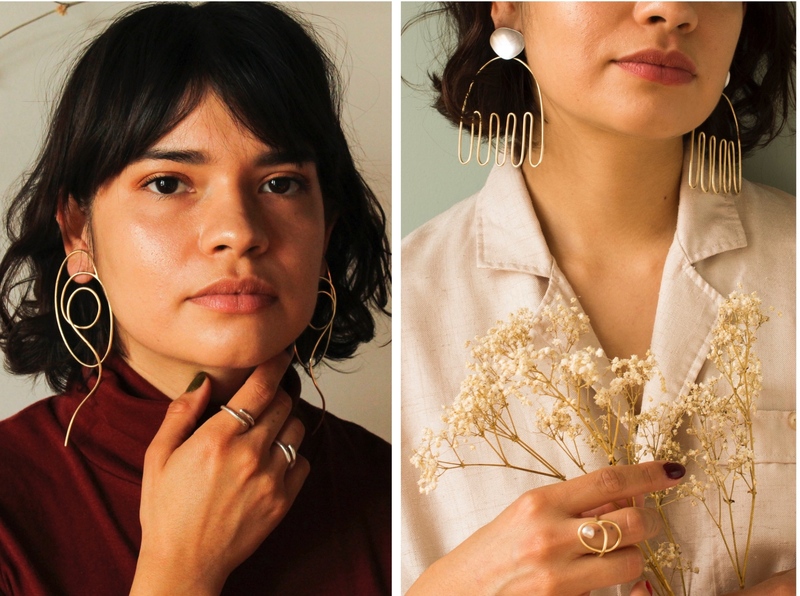 Artist Laura Estrada creates the most original jewelry from recycled brass and sterling silver in her Los Angeles studio, combining traditional metalsmithing with modern design. To create her extraordinary earrings, mystic rings, and beautiful necklaces, the artist melds organic shapes and textures inspired by nature. Each piece is uniquely handmade and develops a natural patina over time when exposed to air, moisture and oils. A natural patina can make your jewelry look even more special, but if you like to maintain or restore a bright finish, Laura Estrada provides some really cool tips on her website. Odette designs their pieces in Brooklyn and casts and manufactures locally in New York City via small family run businesses. Materials used include sterling silver, 14k gold, brass, and bronze. The sterling silver and 14k gold are made from 100% SCS (Scientific Certification Systems) certified recycled metals. Odette is currently in the process of finding a new method to recycle brass. Additionally, Odette uses only recycled packaging. Seasonal digital lookbooks show the inspiration behind the designs, giving you plenty of ideas for how to wear your ethical trendy pieces. London brand PASCALE x JAMES is focused on quality of product, fairness to their workers, and responsibility to the environment. The latter includes the following steps to minimize their own carbon footprint: using a renewable energy supplier for their gas and electric, keeping unnecessary travel to a minimum (and use green alternatives when possible), and routinely check in with their suppliers to re-evaluate their eco-credentials. PASCALE x JAMES understands the importance to do more beyond these conscious choices to affect the world’s greenhouse gas emissions. Therefore, PASCAL x JAMES has decided to pay a voluntary carbon tax to advance the use of renewables. If only we could wear a mini terrarium with real Tillandsia plants around our neck. Or tiny leaves and flowers from the woods as necklaces, bracelets, and rings. Oh, wait, we can! PLANTETHICS is an ethical, conscious, vegan and sustainable brand creating handmade jewelry and home accessories in Budapest, Hungary. Founder Barbara Denes wishes to bring humans closer to nature. Explore their unique designs made with little leaves or tiny flowers and Tiffany glass, fallen branches and twigs found after heavy storms or real Tillandsia plants (be prepared to water them once a week!). Custom made jewelry is available too! 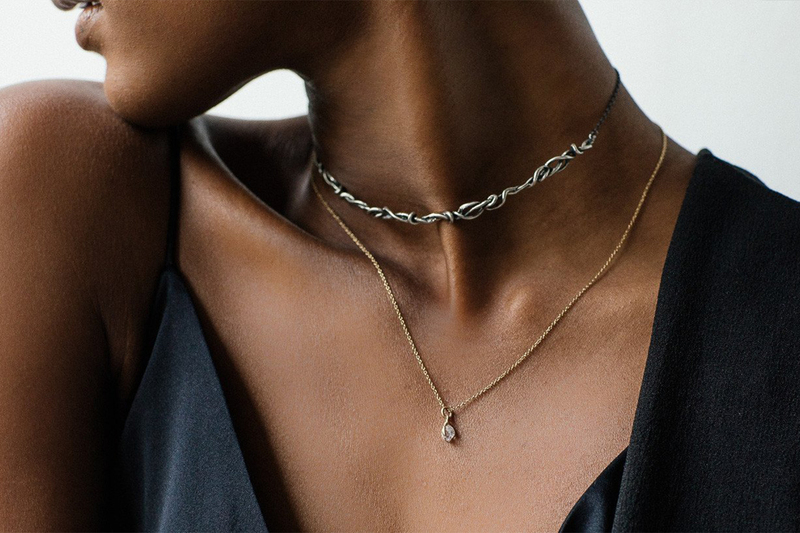 SOKO is a San Francisco-based jewelry brand which was founded by Gwendolyn, Catherine, and Ella in Nairobi, Kenya. They provide customers with handmade and ethical jewelry at an accessible price. Soko works with artisan entrepreneurs from around the world to build their businesses, improve production capacity, and increase their income sustainably. Soko supports them because the artisan craft sector is the second largest employer in the developing world and at the same time the one of the marginalized. Millions of talented artisans are trapped in micro-economies as they are limited to local sales and do not earn enough for their families. All artisans use eco-friendly materials, such as recycled brass and reclaimed cow horn. Boho-chic is back in a big way with Sophie Monet. The namesake brand handcrafts original and forward-thinking trendy pieces in Venice, California from ethically sourced wood. Reviews show that customers find Sophie Monet ideal for everyday wear due to the balance of statement-making sizes with the subtle, casual look from the use of wood. Each piece has its own identity as all of the wood is hand-shaped using unique and rare materials. 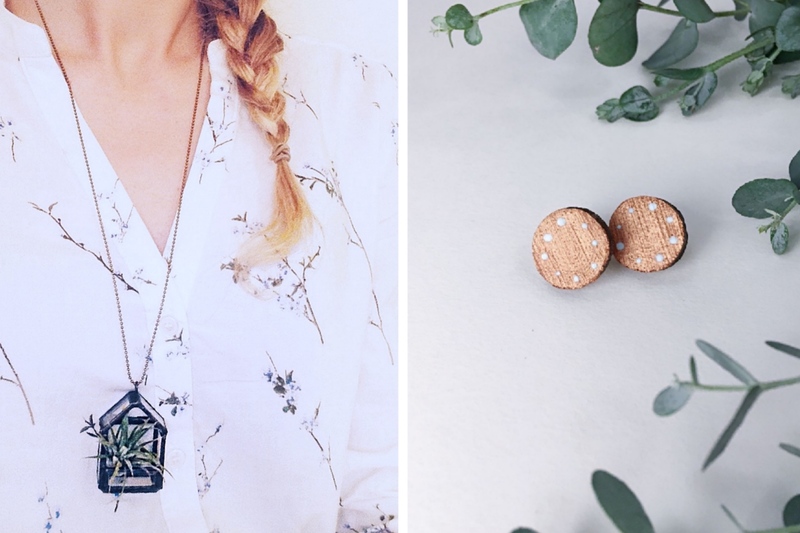 Using sustainable materials wherever possible, Sophie Monet captures the beauty of nature and effortlessly turns it into California-cool fashion accessories. 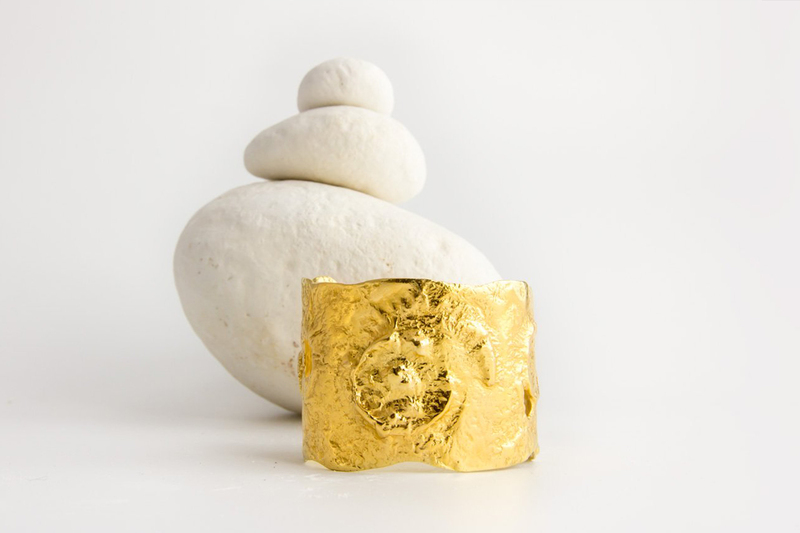 UMIWI is a sustainable accessory & jewelry brand from Berlin. All pieces are made from 100% recyclable materials, including unique mango wood earrings, colorful glass pearl necklaces or recycled silver creoles in different shapes. We particularly love the drop-shaped earrings made from recycled silver & gold and which are the symbol of UMIWI’s CLEANWaterCampaign. With this campaign CEO and founder, Dorothea Schrimpe wants to promote free access to clean drinking water and plastic-free oceans. Because even the smallest drops can contribute to a big change. Each UMIWI item is handcrafted under fair working conditions by women who come from difficult life situations, social organizations and small mountain tribes in Thailand, Mexico, and India. Vanessa Lianne Jewelry studied Art History and Philosophy as well as jewelry design at the Fashion Institute of Technology in NYC and founded her own jewelry line in 2012. Her designs are inspired by the primitive grace of the natural world and the innovative aesthetics of contemporary design. The designs include both contrasts, the rustic industrial design as well as a fine delicate elegance. Vanessa creates each piece in her Brooklyn-based studio and you can see and feel it in every single piece of her jewelry. She only uses sustainable and ethically sourced materials. As a little girl, Larada would spend hours collecting shells and other treasures she found by the sea. When an oyster shell with a pearl washed ashore to her one day, she discovered her love for pearls – and her passion to make ocean-inspired jewelry. Made in the heart of Los Angeles, Washed Ashore wishes to raise awareness of ocean conservancy and marine life by using sustainable and innovative techniques to make their seashell and pearl accessories. Unlike most manufacturers, Larada wants to give back to the ocean and celebrates the often overlooked imperfect beauty of cultured pearls. Take a unique piece of the ocean with you, wherever you go! Winden creates jewelry that is dainty yet super-cool (see: “Boss” necklace), crafted mostly from recycled materials. A list of all materials and their origins can be found on the website since transparency is key for Winden. 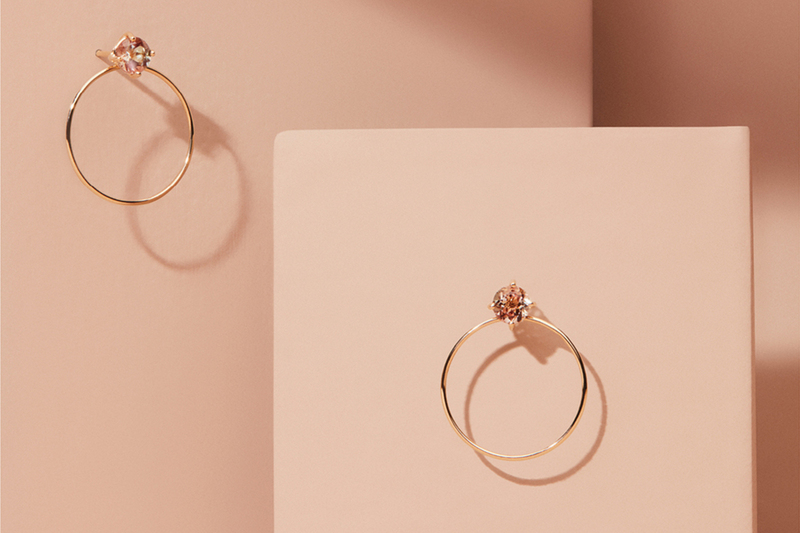 From 100% natural unaltered Oregon Sunstones to recycled gold chains selected from an NYC-based family business, Winden chooses their materials and suppliers with equally conscious thought. Committed to supporting other small businesses, the uncomplicated pieces create a feel-good confidence one can adorn with pride. As such, Winden pieces feel intimate and cared for – and who doesn’t want a little extra love in their jewelry?